Dead Things That Might Be Under Your House: Part 2! This week we will continue our journey beneath Houston with a chilling but true story of a forgotten graveyard right in the middle of Downtown Houston. Until 2003, many Houstonians found themselves fascinated with the the ruined old building haunting the corner of Elder and Girard Streets. It was the old Jefferson Davis Hospital, rumored to be haunted by an assortment of pateints and angry Civil War verterans. The internet is riddled with blogs full of stories of teens who got more than they bargained for when, in the dead of night, they slipped through gaps in the chain-link fence surrounding the structure. Pictures of orbs and spectral images captured in the decaying structure have reached international attention. We may not be able to confirm the existence of ghosts, but we can definitely shed a little light on the fascinating history of the structure and the property it sits on. And I must say, if any place in the Houston area were haunted, Old Jeff Davis would probably be it. The Old Houston City Cemetary was established in 1840 on the property, the land was bought from the Allen brothers, who originally owned most of the area around Allen’s landing, the heart of 19th Century Houston. Veterans of the Texas Revolutionary War are believed to be buried there, along with some of the founding fathers of the City of Houston. Civil war soldiers and yellow fever victims were buried there in mass graves during the 1860’s. By the turn of the last century, the graveyard was essentially abandoned. 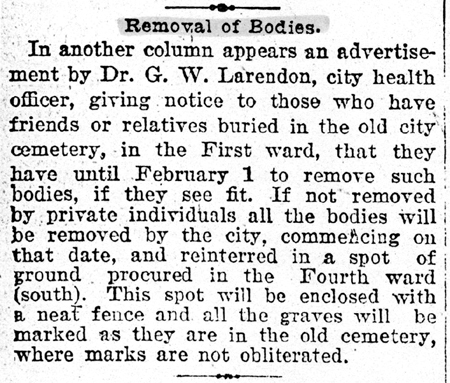 In 1893 the city planned to move the bodies and build a school on the site, but family members of the dearly departed prevented that from happening. Eventually, the city did get to build on the site. In 1924, Houston’s first publicly owned health facility was erected on an area covering part of the graveyard. During the process of construction, some of the bodies were removed, but not all, and in response to outcry over the mistreatment of the graves of Civil War veterans, the hospital was named after Jefferson Davis, the president of the Confederacy.The basement of the hospital, where the morgue was located, was built above the ground, so as not to disturb the graves that everyone new were there. 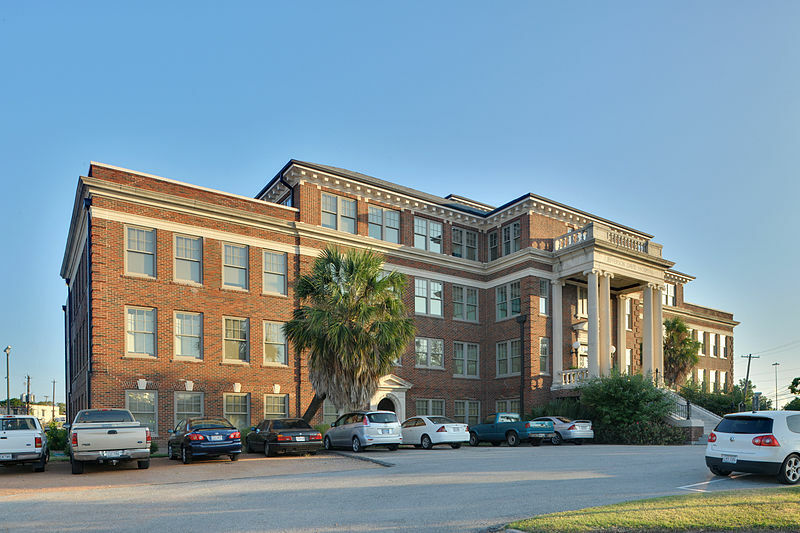 The new structure represented the cutting edge of hospital design, with well lit and vetilated interiors, even screened in balconies on upper floor, but it was replaced by a larger Jefferson Davis hospital in 1939. 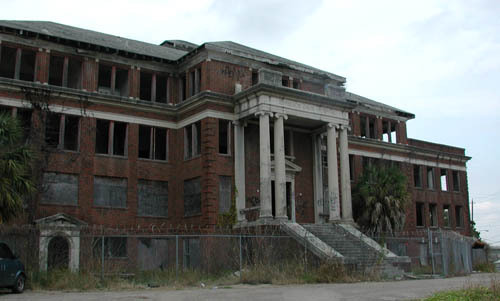 After that, the “Old Jeff Davis Hospital” was used for a for a number of different purposes including a drug treatment center and storage facility until it was finally closed in 1985. After that it became infamous for ghost sightings and spectral activity. The building was listed on the National Register of Historic Places in 2002, and in 2003 it was sold to Avenue CDC, who had the space converted into artists lofts. People never really forgot about the graves beneath Old Jeff Davis, but the hospital only covers part of the original Cemetery. In 1968 the City of Houston Fire Department built a maintenance facility over the western part of the old graveyard. In 1986 several graves belonging to Civil War veterans were accidentally unearthed during a maintenance project. The bodies were reburied on another part of the Fire Department property. Today only a small stone monument surrounded by a chain-link fence honors the soldiers. It is placed over the area where the bodies were originally interred, however the graves were relocated to another part of the property.